Bedbug numbers in the UK have dramatically increased in recent years and similar problems have been recorded in the US and Australia where it is estimated to have cost the tourism industry $75 last year. 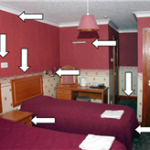 With the rise of mobile apps people can report sightings of bedbugs at hotels they visit to forewarn other travellers and travel advice website frequently identify hotels with bedbug issues. 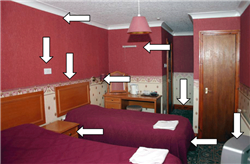 It is therefore essential that if you are responsible for a hotel or other rental property that you have a treatment and prevention plan in place to deal with bedbugs – your reputation depends upon it. Rokill can provide detailed confidential advice and training for you and your team. Rokill have teams of qualified bedbug controllers spread around the South of England. Covering London, Reading, Bournemouth, Portsmouth, Southampton, Brighton and Exeter we can quickly attend your premises and exterminate these insects. Bedbugs are challenging to control. One female can produce 500 eggs and the lifecycle can be completed in 3 weeks under optimum conditions. There is known resistance to insecticides and the fact that they can survive for 12-18 months without feeding means that you need experienced specialists to resolve your infestation. Unfortunately many companies advertising themselves as specialists are, in reality, newly formed companies exploiting the recent upsurge. We operate to the highest standards and our service team have received training from Clive Boase – one of the U.K’s leading experts in Bedbug control. We are full members of the British Pest Control Association. We are also approved under the Altius, Constructionline, Safecontractor and CHAS Health & Safety assessment schemes. These accreditations prove that you are in the safe hands of a professional pest control company. All insecticides are assessed for your safety and all Rokill Technicians are highly trained professionals. 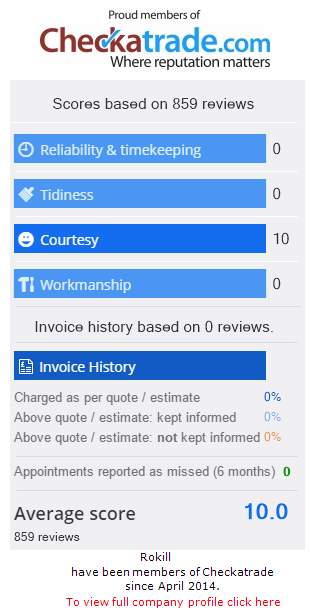 We are confident in our abilities and offer a 6 month guarantee on our work giving you reassurance and peace of mind. Following an inspection by an experienced surveyor we will provide you with a cost effective solution and upon acceptance we will also provide you with detailed advice and guidance on how to reduce the risk of bedbug reinfestation. Bedbug treatment procedures have been created based on advice from leading experts and our in-house technical team. Our treatment regime utilises a range of the most effective insecticides combined with products that make the cracks and crevices favoured by these insects inhospitable. We continually review the products we use to ensure that they are the safest and most effective available. To give them their scientific name they are Cimex lectularius which literally means bug of the bed. The insects are not microscopic as is sometimes believed, these are reasonably large insects, when fully grown they measure about 6mm long. Reddish brown in colour and are flattened which allows them to crawl into gaps and cracks to hide. They have 6 legs and they cannot fly. The lifecycle starts with an egg, and a Bedbug nymph that hatches out; these nymphs pass through 5 stages before reaching maturity. Up to 500 eggs can be produced by one female. The speed at which the insects develop is dependant on temperature, and the availability of food. Under optimum conditions they can develop from egg to adult in 3 weeks. In severe infestations thousands of Bedbugs can be present. These insects are secretive hiding away during the day. The nymphs, and both male and female adults feed exclusively on blood. The insects are nocturnal and will typically feed every 7 days for 10 -15 minutes, absorbing more than their own body weight in blood. Humans are the preferred host but they will feed on domestic animals. They respond to warmth, odours and Carbon Dioxide. The mouthparts are piercing, a bit like a hollow needle, the insect injects anaesthetic and a chemical that stops the blood clotting. The good news is that Bedbugs are not known to transmit diseases, however in some individuals bites can cause severe reactions and itching. This can cause scratching, resulting in secondary infection. The presence of Bedbugs also causes great anxiety and distress. In the 1930s, Bedbugs were extremely common in domestic property throughout the U.K, with over 10% of homes believed to be infested. A steady decline was observed over the next 60 years, this was attributed to the success of insecticides and rising standards of hygiene. In the late nineties, numbers began to increase and in London increases of 25% per annum were recorded. Numbers are continuing to rise dramatically and it is estimated over 10% of hotels encounter Bedbug infestations each year. How are bedbugs they spread? 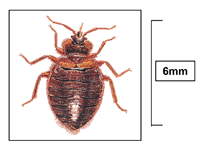 Bedbugs can be dispersed between properties in luggage, second hand furniture and on clothing.